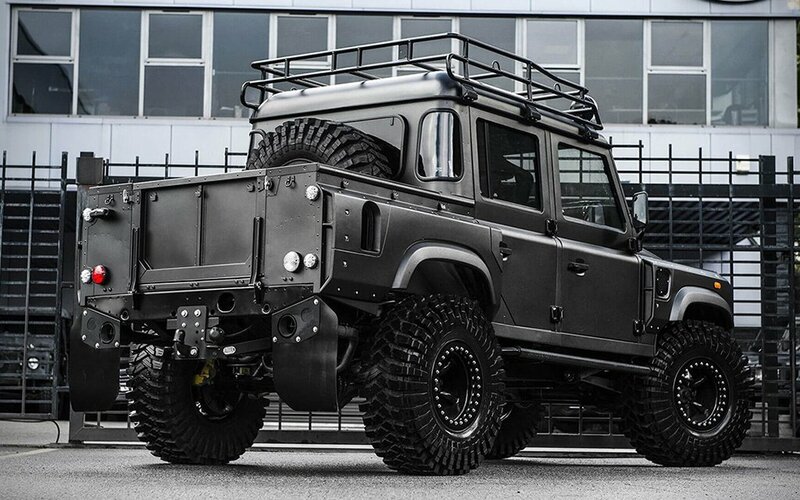 They Call This Land Rover ‘Bigfoot.’ It’s Real, It’s Mean and We’ve Got Photos. If Bigfoot ever made it to the DMV to get his license, we now have a good idea of what he’d be driving back to the woods afterward. 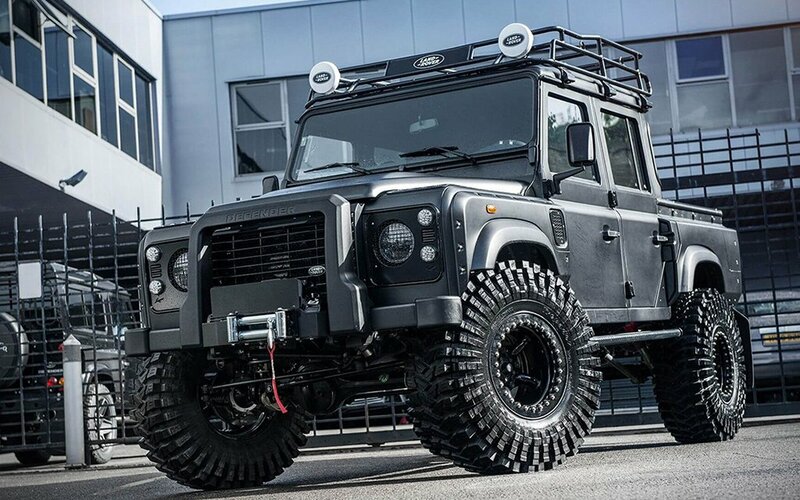 Chelsea Truck Company’s latest Land Rover Defender mod — the aptly named “Bigfoot Edition” — is an off-roading classic with a whole lot of extra meat on the bone, from a set of unholy 5 x 37 inch Maxxis Trepador Extreme Off Road tires to a five-inch Bigfoot lift kit that’s ideal for chasing unwitting campers through the bush. The result is essentially a miniaturized monster truck, complete with reinforced front and rear wings, intermittent splashes of stainless steel, top-of-the-line meshed headlights and a plush interior at odds with its tank-like outer lines. On top of all that: Kahn Design’s “Volcanic Rock Satin” space black finish for staying stealthy under cover of night.